Tranche Estate occupies a spectacular site in the foothills of the Blue Mountains, east of Walla Walla. 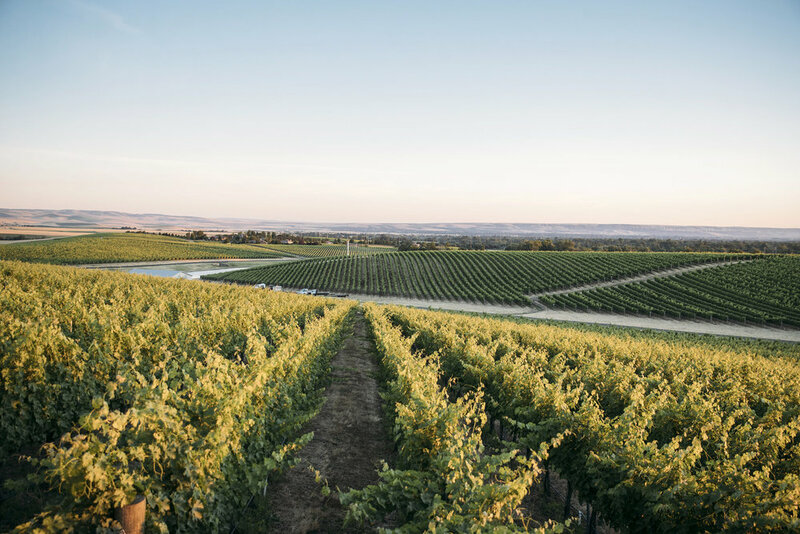 The vineyard climbs as high as 1265 feet and provides a heart-thumping, bird’s-eye view of the entire Walla Walla Valley. The unique aspects of terroir which give each wine a sense of place—such as soil, elevation, aspect and rainfall—make our Blue Mountain Estate Vineyard truly one of a kind. At Tranche, we are devoted to crafting expressive, aromatic and beautifully defined wines. From deeply textured reds that convey the unique character of the land, to elegant whites and rosé that offer a new-World interpretation of classic Rhône blends, we strive to make every bottle worthy of your attention. Blue Mountain Estate Vineyard is home to Tranche’s flagship red wines—Cabernet Sauvignon, Cabernet Franc and Syrah—known for their classic varietal characteristics and fine, polished tannins. Our newer plantings have focused on increased clonal and rootstock diversity, which continues to add depth and complexity to our wines. 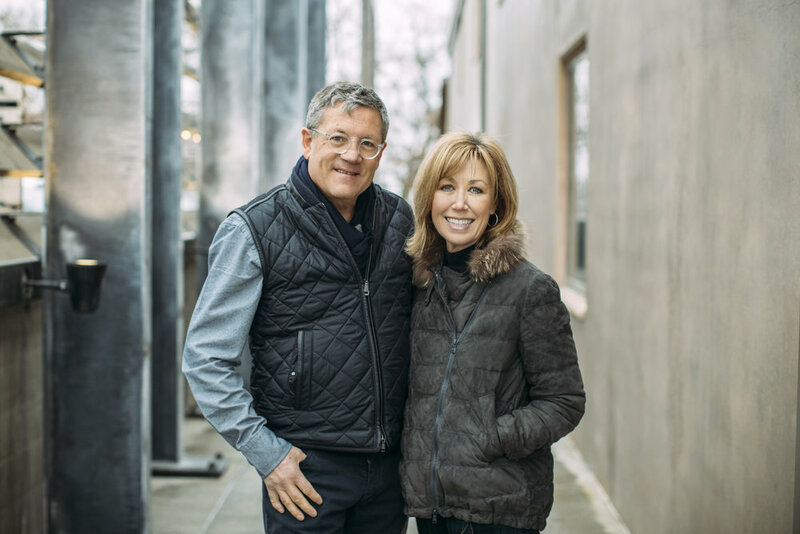 Blue Mountain Estate also boasts 11 acres of Grenache Blanc, Roussanne, Marsanne, Viognier, Picpoul and Clairette Blanche, including some of the first plantings of these varieties in Washington State. The very best components of these are selected each year and blended to create Tranche’s benchmark Rhône-style white, Pape Blanc. The elevation, airflow, moderate rainfall and balanced sun exposure across the vine rows make Blue Mountain Vineyard a unique “sweet spot” in the Walla Walla Valley. These natural factors maximize the growing season, protect against spring frost and winter freeze, ensure physiological ripening, promote acid retention, and minimize the need for irrigation. Recognizing that the quality of the finished wines depends directly upon the care taken in the vineyard, we farm at low yields to maximize fruit intensity and concentration. Sustainable farming methods are employed as we steadily move towards biodynamic viticulture. All the work of farming and harvesting is carried out by hand, ensuring that each vine gets the individual care and attention that it needs to produce the best quality fruit. Our flock of Old English Southdown “Babydoll” Sheep provides an environmentally-friendly way of maintaining vineyard groundcover during the growing season and improving soil fertility. Celilo has long been considered the finest white wine vineyard in Washington State. High above the Columbia River, in the breathtaking Columbia Gorge AVA, 71 acres of dry-farmed vineyard are planted to Chardonnay, Gewürztraminer, Pinot Gris and Pinot Noir, with elevations ranging from 800 to 1200 feet. The vineyard’s location is considered sub-alpine, sitting on the cusp of wetter maritime weather to the west and the high desert to the east. Soils from the extinct volcanic cone of Underwood Mountain are deep and retain moisture well, allowing Celilo’s vines to survive without irrigation. Their deep roots bring concentration and minerality to the wine. This, along with high levels of natural acidity, makes Celilo’s wines balanced and incredibly distinctive. Blackrock Vineyard sits on the eastern edge of the Yakima Valley AVA, just a stone’s throw from Red Mountain. The vines are planted on steep, rocky slopes which provide a range of soil profiles, aspects, row orientations and micro-climates to work with. 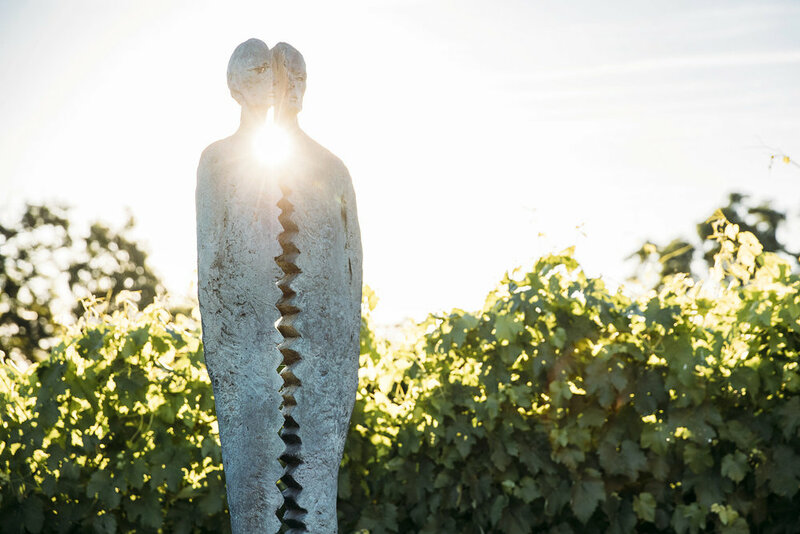 Blackrock is a site that performs brilliantly across both Bordeaux and Rhône varieties, with over 50 acres planted since 1998, including Cabernet Sauvignon, Cabernet Franc, Merlot, Syrah, Grenache, Cinsault and Counoise. The vineyard is sustainably farmed, and the rugged nature of the site requires most operations to be carried out by hand. The climate is more temperate here, with average temperatures 5 to 10 degrees cooler than nearby Red Mountain, making it an excellent growing site for Tranche’s delicate, mineral and acid-driven style of rosé, Pink Pape.